1st in method ‘inside’ - 3. First submitted Monday, 9 April 2018 at 18:18:55 by Alison R Williams. 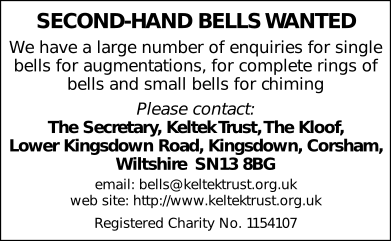 Sent for publication in The Ringing World on Monday, 7 May 2018 at 00:37:07, and printed in one of issues 5588 or 5589. This performance has been viewed 220 times.